The Zing Firetek Zeon Bow is fun to play inside and out. The arrows light up! You can play during the day or night. We love the fast load loops. They make it easy to fire away. This bow came with three arrows. Each arrow has a switch that you can turn on and off. It lights up for night time play. 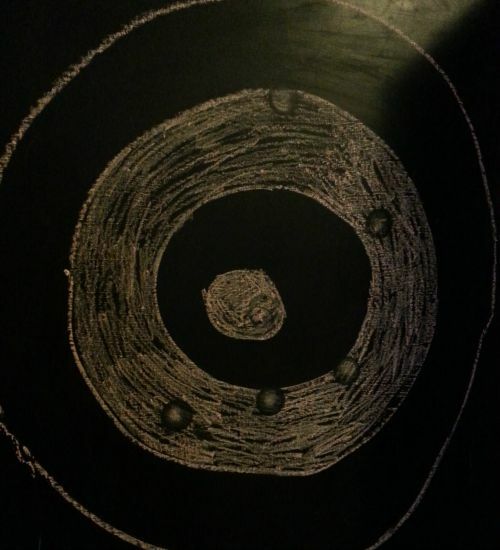 I made a target on our chalk board door. My husband and son had a good laugh at my drawing. My son told me it wasn't that good of a bulls eye. Oh, the honesty of children. I told them it was just for fun. You can see where the arrows landed. The arrows have suction cups on them. It will stick to the walls. The Firetek bow comes in different colors. This is a fun toy for both boys and girls. Both my husband and I enjoyed it also. I want to bring it outside with us and see how far the arrows go. Christmas and the holidays are coming up soon, Santa may want to stock up on these. These also make a good birthday gift. Another added bonus is that it helps with fine motor skills and strengthening hand muscles. Since you have to pull back and aim. My son has weak arm muscles and used to receive OT therapy. I think this toy is good for him to use. Do you know someone who would enjoy this toy? This looks like fun. I can imagine pretending to be Katniss and using this. We love zing toys. This one looks like tons of fun! This looks like a blast! Honestly, the best part about having kids is getting to play with all of their fun toys. I love anything that lights up and I think it's pretty cool that this toy can also help with fine motor skills. Great review! 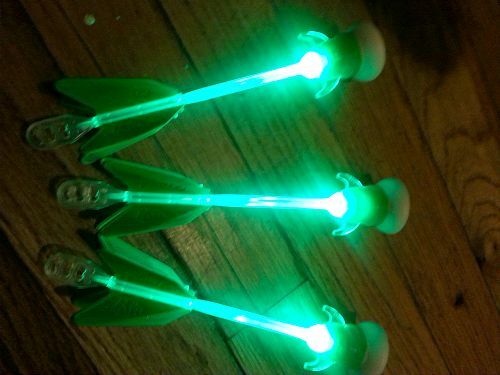 I love the light up arrows - thats fun for nighttime! My middle daughter wanted a bow and arrow for Christmas one year and she loved it! My son would love to shoot things with this toy! I can't believe it glows! So cool! Ok, wish I had seen this earlier! 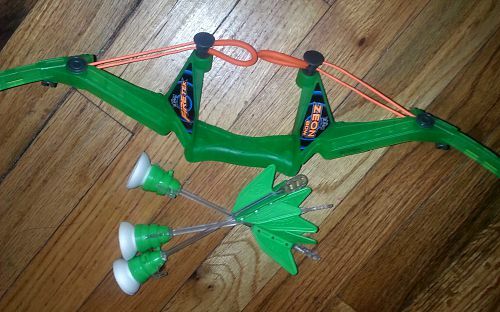 We just bought our son a bow and arrow, but his doesn't light up. The glow in the dark is like a bonus add of fun. My son would enjoy this so much.